Tips to your guide & driver. Make your way to New York (JFK) airport where you will board your flight(s) to Mexico City. Upon arrival, you will collect your luggage in the baggage claim area, and continue to the Arrivalâ€™s Hall where you will be greeted by a tour guide and/or driver. The transfer to your hotel, dinner, and lodging will be accommodated. 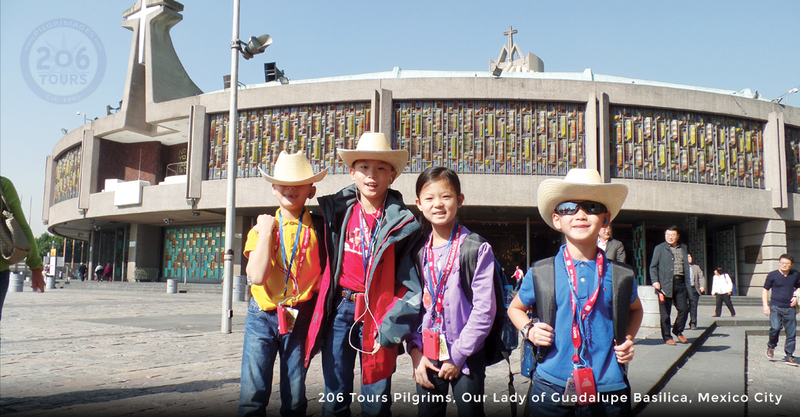 This morning you will transfer to the Shrine of Our Lady of Guadalupe (Patroness of the Americas), by way of the Plaza of the Three Cultures. 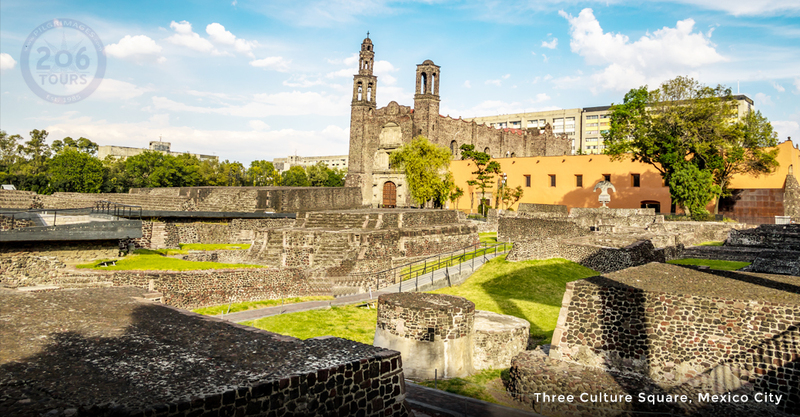 This plaza symbolizes the unique blend of pre-Hispanic, and Hispanic cultures that make up Mexico. 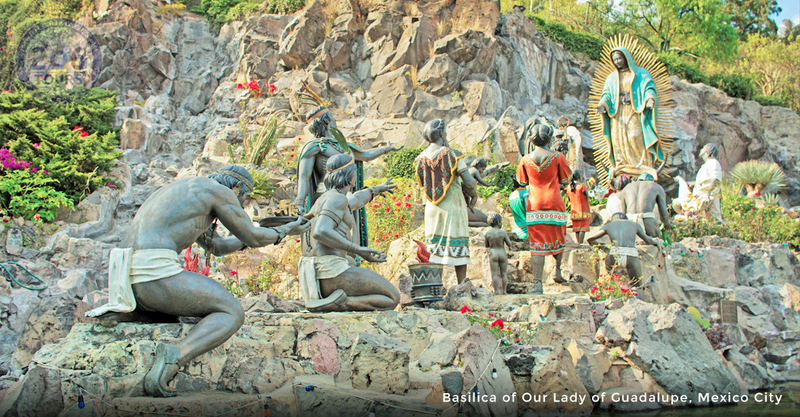 This Shrine was built in response to Our Ladyâ€™s request to the visionary, St. Juan Diego Cuauhtlatoatzin. Upon arrival at the Shrine, you will celebrate Mass as you marvel at the brilliantly colored Basilica. Following Mass, you will join the other pilgrims as you keel in front of the â€œTilmaâ€�, where Our Ladyâ€™s image was miraculously imprinted. 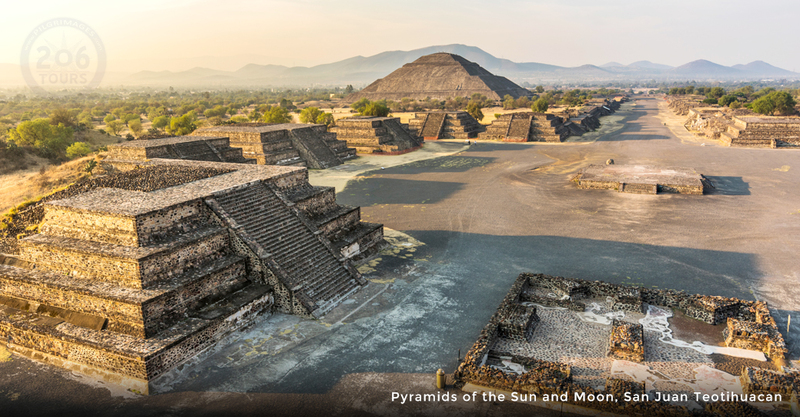 Following this visit, you will make your way to San Juan Teotihuacan, a UNESCO World Heritage Site. According to mythology, this site was chosen to be the center of the universe, and from then it became a prominent political and religious center from the second century until the ninth century. While in San Juan Teotihuacan, you will enjoy lunch at a nearby restaurant, followed by a guided tour of the Archaeological zone. While on this tour, you will view the pyramids of the Sun and Moon, the Temple of Quetzalcoatl, and local art markets. Your fun-filled busy day will culminate with a delicious dinner and overnight at your hotel. This morning, your day will begin with breakfast and Mass at the Holy Family Church where you will view the tomb of Fr. Miguel Agustin Pro, the Jesuit martyr. 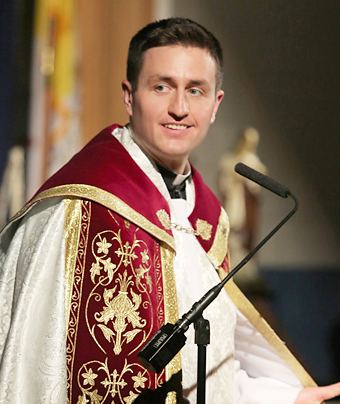 In a time of great religious persecutions, Fr. Pro was exiled from Mexico during the Mexican Revolution. However, he returned to Mexico and was aided by a secret ministry who helped him hide from authorities. During his time in Mexico, he assisted many individuals in their spiritual, as well as temporal, needs. Although he helped many, he was eventually arrested and killed by authorities. 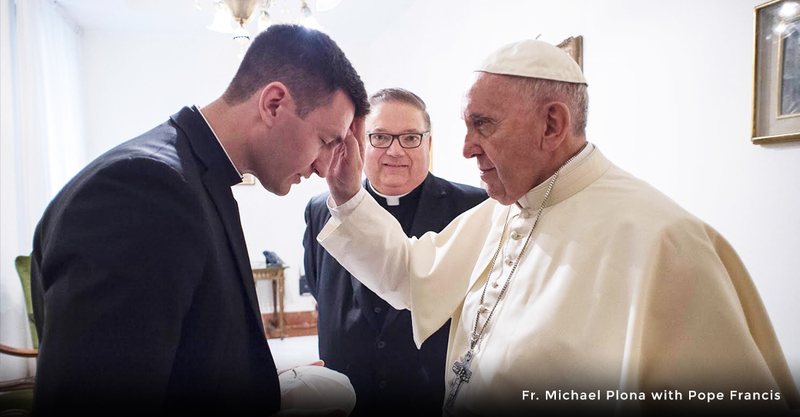 While at this church, you can pray to this great martyr who remained filled with the joy of serving Our Lord even in the midst of very difficult times. 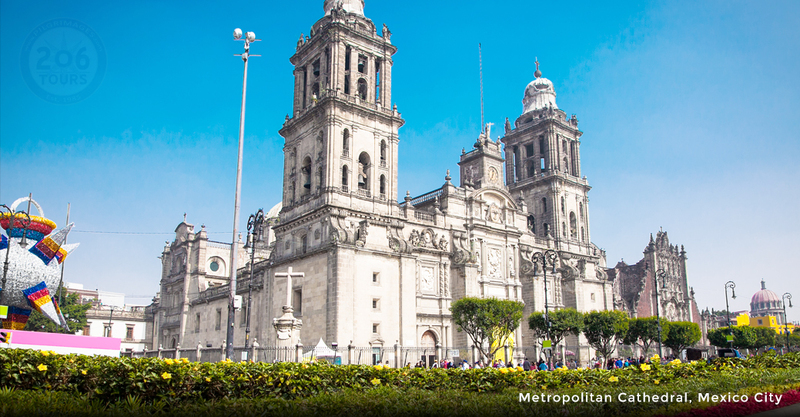 After this visit, you will tour the oldest and largest cathedral in all of Latin America, the Metropolitan Cathedral. Throughout your time in the cathedral, you will become overwhelmed by the stunning paintings, altar pieces, and statues. 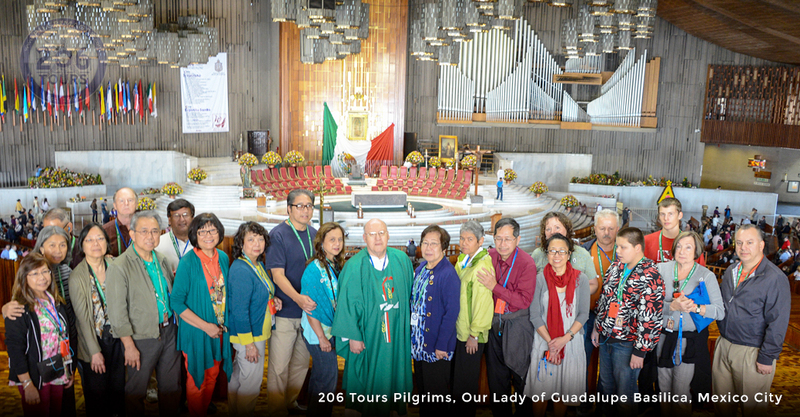 Additionally, you will have the opportunity to view the Tomb of Bishop Zumarraga, who was the first Bishop of Mexico, and also known as the Protector of Indians. Your tour continues as you will transfer to the National Palace. 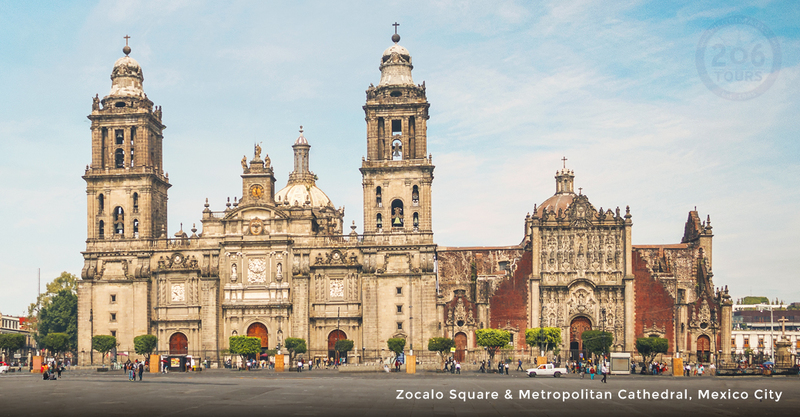 This extraordinary palace has been a building of the ruling class of Mexico since the Aztec Empireâ€™s rule. Your tour continues as you will visit the Plaza of Santo Domingo. 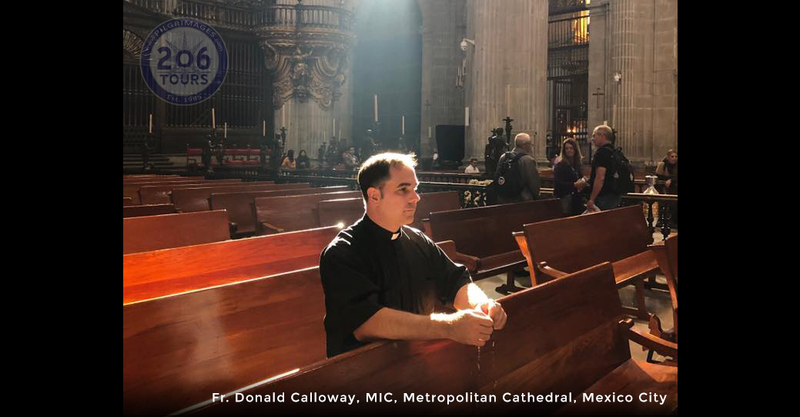 This plaza contains two Holy places that are architecturally exquisite; the Church of Santo Domingo, the first church built by the Dominicans in 1576 and; the Shrine of Our Lady of the Rosary, the first Rosary Shrine in Mexico. Also on your tour, you will visit the Shrine of Our Lady of Covadonga, the headquarters of the Confraternity of the Most Holy Rosary. This Shrine is dedicated to the Patron Saint of Asturias (Spain). This evening, you will transfer back to your hotel where you will enjoy dinner and rest before the next day of activities. A fun-filled day is ahead as you will eat breakfast, followed by a spectacular transfer to Tlaxcala (approximately one hour and forty minutes). On your ride, you will view two magnificent peaks; one that is covered with snow and the other that is an active volcano. 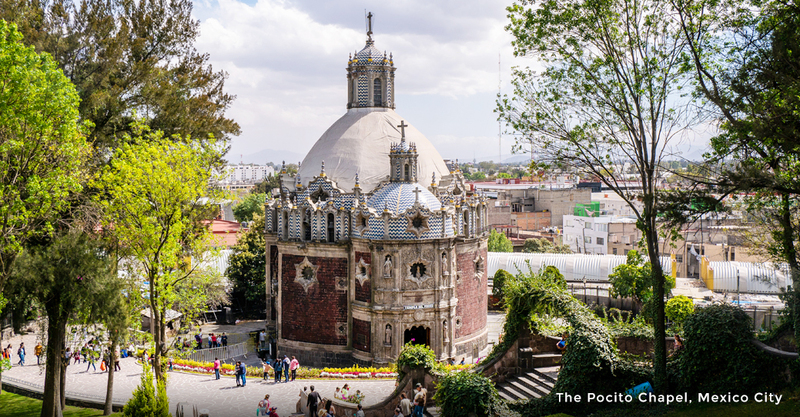 Upon arrival in Tlaxcala, you will visit and celebrate Mass at the Shrine of San Miguel Del Milagro. Holy Mass will be celebrated upon the site of where St. Michael the Archangel appeared to Diego Lazaro in 1631. During this apparition, St. Michael directed Diego to a Grotto and a well of curative waters. You will have the opportunity to view these miraculous sites, as well as bring an empty bottle to collect the miraculous water. After viewing this exquisite site, you will enjoy lunch followed by a transfer to Puebla (approximately forty minutes). While in this city, you will visit St. Dominic's Church, and its Chapel of Our Lady of the Rosary. 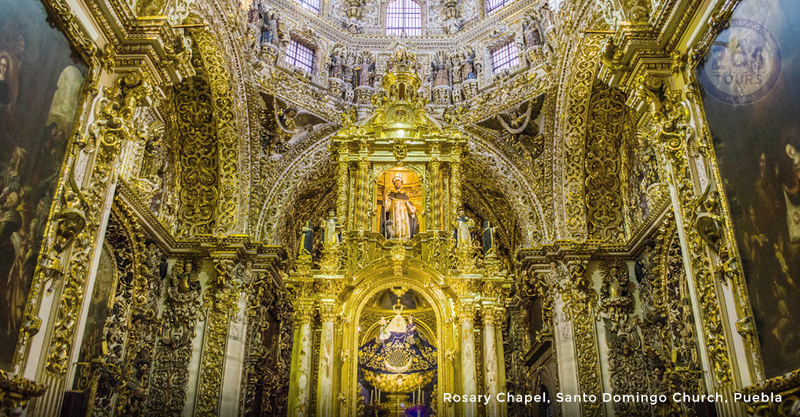 These Baroque styled structures are known for its walls, and dome, that are covered in gold leaf and plaster. 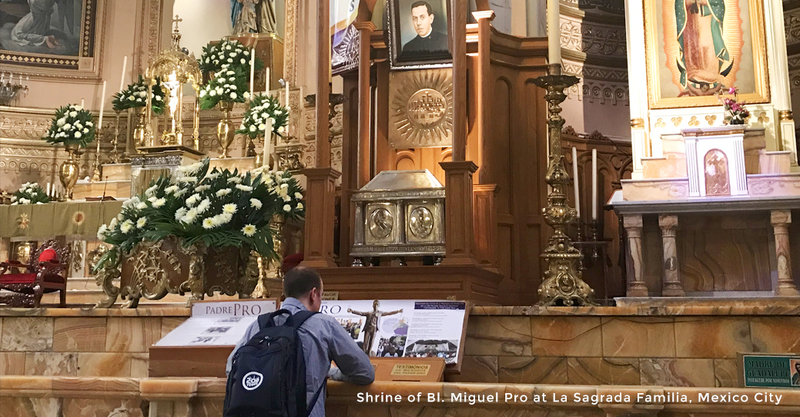 The next stop during your time in Puebla is to the Church of St. Francis of Assisi where you will view the incorrupt body of St. Sebastian of Aparicido. St. Sebastian is the Patron Saint of the transport industry and holds a reputation for his holiness. 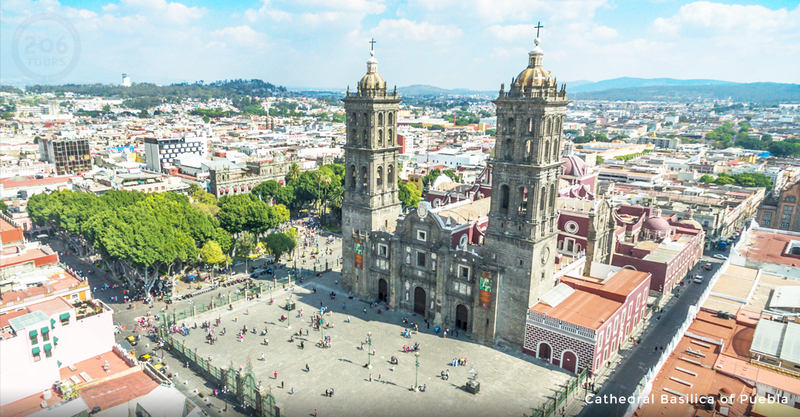 Follow your visit to these two great cities, you will return to Mexico City where you will eat a delicious meal and have the option to join the Shrine of Guadalupe to experience the celebration of Las Mananitas! Overnight at hotel. 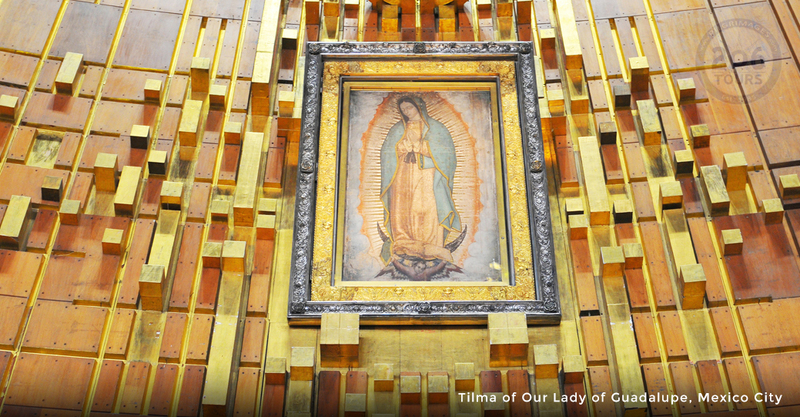 This morning, you will make a return visit to the Shrine of Our Lady of Guadalupe to celebrate the Feast of Our Lady of Guadalupe, and bid farewell to Mary the Mother of God. Following the beautiful Mass of the Roses to celebrate the Feast of Our Lady of Guadalupe, you will have free time for prayer and reflection at the Shrine. In the afternoon, you will eat lunch, and board a transfer to the suburb of Coyoacan (approximately fifty minutes). While in Coyoacan, you will visit the Church of El Carmen, that is dedicated to the Carmelites. Next, you will visit the Church of Santa Catarina (Confirmation pending hours of operation) . This unique and colorful church was built in the sixteenth century, and contains four chapels, each dedicated to the local patron Saints. Lastly, you will visit the Church of St. John the Baptist. This structure was originally constructed as a Dominican Monastery, but eventually changed to a Franciscan Monastery. This stunning piece of architecture has an interior containing seven chapels, as well as an altar piece that dates back to the seventeenth century. This evening you will have your last dinner and overnight at your hotel. This morning, you will enjoy breakfast followed by a transfer to the airport for your return flight(s) home. You will say farewell to friends and a pilgrimage that will last in your memory for years to come. M and M Travel Inc.
We specialize in Honeymoons, All-Inclusive Vacations,Cruises, Escorted Tours, Resorts, Specialty Vacations, Family Vacations, Pilgrimages/Faith-based Travel Ministry-Archangel Raphael's Inn. © 2017 M and M Travel Inc. All rights reserved.